Dirty dog? Kids with ice cream cones? Potted plants? Fun in the sun? Messy mechanic and greasy tools? 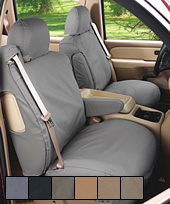 Stop worrying, with SeatSaver seat protectors leather and fabric seats are safe. 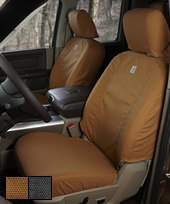 The fabric is protected with a DWR (durable water repellency) finish that blocks most “accidents” from reaching the seats. 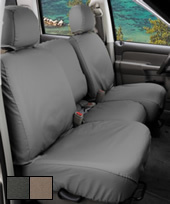 Like a great pair of jeans, SeatSavers get softer and more comfortable with each washing (but we recommend you re-spray the DWR after every 5 or 6 washings). 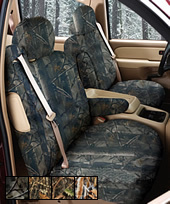 Avoid The Dreaded "sticky back, and beyond"
SeatSavers are made with a jean-type Polycotton drill weave fabric that’s super strong, long wearing and BREATHABLE. 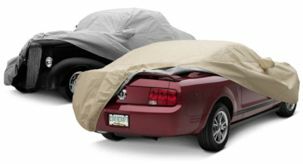 Neoprene fabric is NOT breathable and it will retain body sweat and oils if not cleaned regularly. 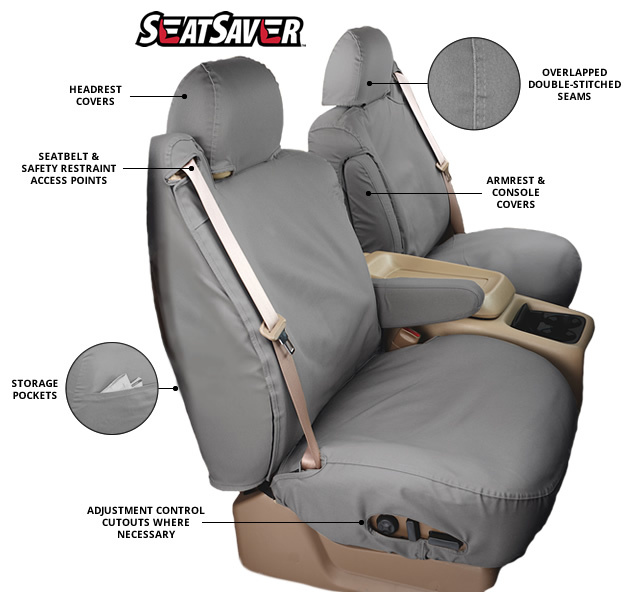 SeatSavers have a durable water resistant finish (DWR) that will allow you to wipe up spills before they can soak into the fabric, but the fabric “breathes” (just like your jeans) so you stay comfortable and don’t end up sticking to the seats.